Here’s a quick and simple salad I often make for a healthy lunch. 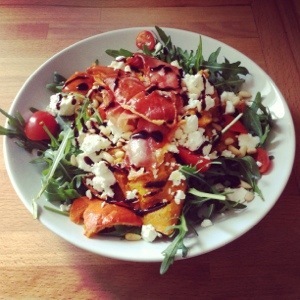 This entry was posted in Kitchen Creative and tagged Cooking, feta, healthy, pumpkin, salad, simple by whysamiam. Bookmark the permalink.